Things were looking bleak for Jack Beckman after the second race of NHRA’s Mello Yello Drag Racing Series Countdown to the Championship six-event playoffs. After leading the “regular” season of 18 races with six victories and three new national records in his Funny Car category, Beckman and his Don Schumacher Racing Infinite Hero team had come up with goose-eggs at both Charlotte and St Louis. As he arrived in Reading for the third race in a row, Beckman lay fourth behind Del Worsham, who had won both of the previous Countdown contests. He knew it would be difficult to make up ground on Worsham, who had 119 points in hand - one point shy of five rounds - and the weather certainly wasn’t cooperating at Maple Grove Raceway. Not only was it was cold - almost too cold to race - rain scuttled the first day of qualifying and, for safety, NHRA could only let the cars and motorcycles competing in Top Fuel, Funny Car, Pro Stock and Pro Stock Motorcycle down the dragstrip a single time on Saturday. 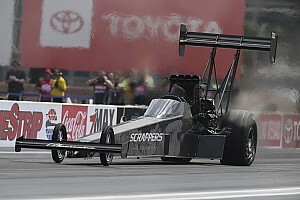 Beckman had backed up to the other eight drivers also looking for a championship. In the first 18 races he had “stretched the lead out, done phenomenal and then they throw the yellow flag and the rest of the pack catches up.” He knew he and co-tuners Jimmy Prock, John Medlen and Chris Cunningham had to go for a record in Reading and win the race. It was the only way he’d be able to edge up to Worsham and teammates Matt Hagan (the reigning Funny Car champion) and Tommy Johnson Jr. In the single qualifying session at Reading, only John Force Racing’s Robert Hight set a sub-four-second lap down the 1,000-foot dragstrip, earning track records as he did so. 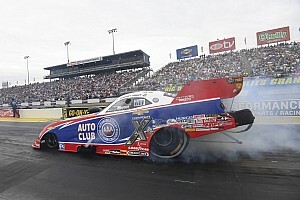 Beckman qualified third, albeit at 5.440 seconds and a leisurely 203.12 mph. Teammate Ron Capps was second behind Hight and point leader Worsham qualified sixth in a small, 14-car field that made runs down this tough track. Paul Lee and John Hale elected not to qualify but were allowed to compete. Beckman defeated Alexis DeJoria in a first-round pedalfest, eliminated Johnson Jr with a straight and true pass as the sun finally began priming the track and removed Capps with a new national record ET of 3.897 seconds (at 326.87mph) to meet Chad Head in the finals. He won that race with a pass of 3.910/326.79 to Head’s 3,903/326.16 and earned the record with a proper backup as the pair sped down this track in a record-breaking head-to-head match. And suddenly, thanks to the extra 20 points for the national record, Beckman now has only 16 points to make up on Worsham heading into this weekend’s AAA Texas NHRA Fallnationals at Texas Motorplex near Dallas. Now he’ll return to Texas Motorplex and try to wrench the lead in this year’s Funny Car standings from Worsham. 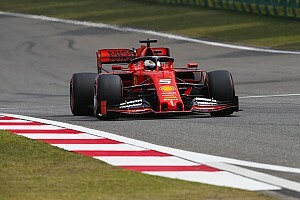 “I said before Reading we were probably going to have to set the national record and win the race to have a chance at getting back in the points,” the 2012 champ said. “If Del had put any more distance between him and us, we probably weren’t going to have any chance at the championship.” Johnson Jr’s first-round victory certainly helped that cause. “I don’t know that I could have hoped for the outcome that we got where we actually made up 103 points on Del. 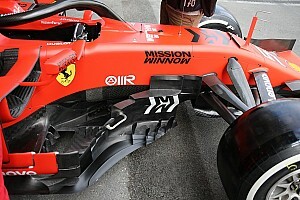 I think it just basically put us right back in the championship race,” Beckman said. This year’s race at Dallas is being held a little bit later in the year as NHRA hopes for cooler weather on-site. That could aid seven-time race winner Beckman and his Infinite Hero Foundation team as they attempt to throttle their Dodge Charger R/T down the track; it could also go the other direction. After all, Beckman and his all-star team began this season with a DNQ (did not qualify) at Pomona in February.